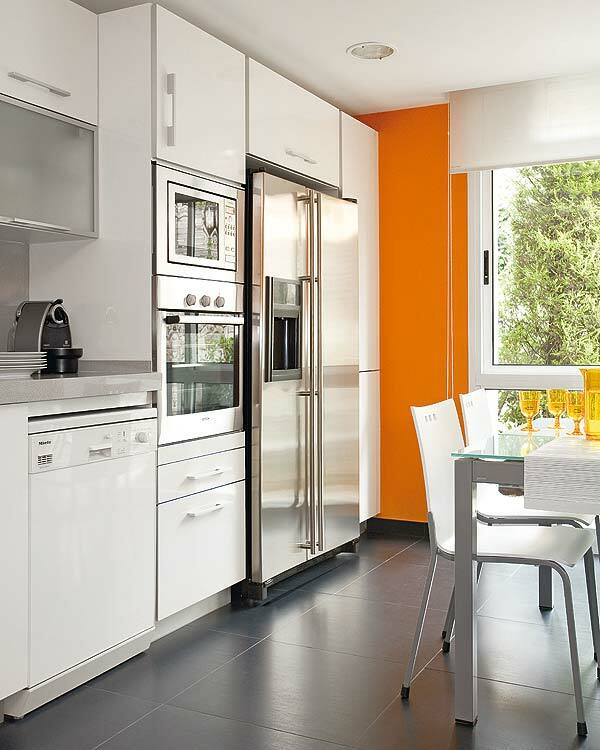 Mix and Chic: Creating interest using accents in all white modern kitchens. Creating interest using accents in all white modern kitchens. 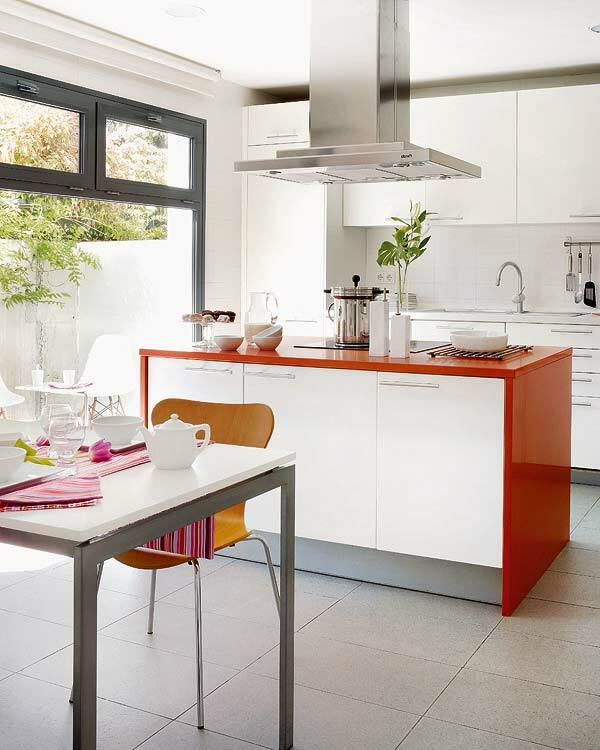 A splash of bright orange wall brings in an element of fun and surprise in a sleek and stylish all white contemporary kitchen. By bringing in a hint of bright red accent to the kitchen island countertop, the pop of color quickly becomes an interesting focal point in an otherwise stark white kitchen. 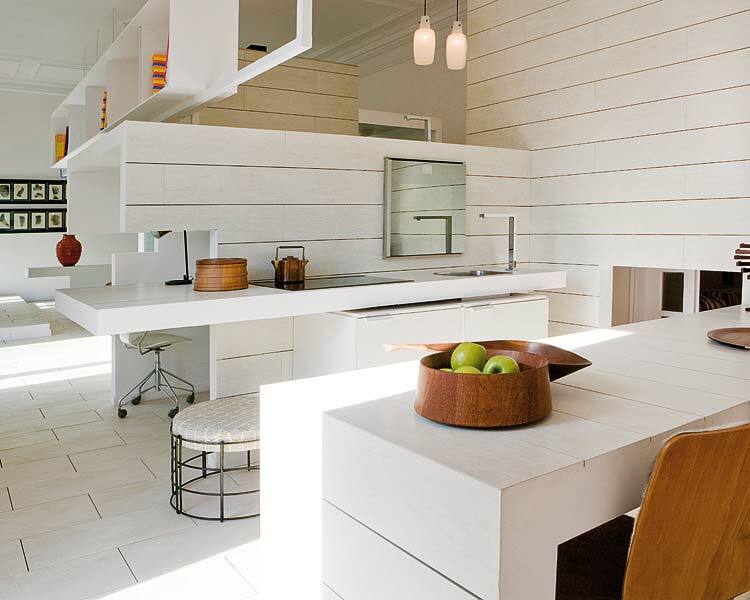 Blending wood accents in an all white, sleek modern kitchen is the key to create warmth, balance and interest in the space. And even the best primer made specifically to stick to laminate doesn't stick all that great. Plus you have to rough sand the kitchen countertops before you prime, meaning you can never really strip it and leave it plain again. Thanks for the comment. These kitchen countertops were professionally finished using different materials and were either custom made or factory finished. Cheers.